Indie Retro News: Geo Six - In dev Robotic C64 game gets new host footage! Geo Six - In dev Robotic C64 game gets new host footage! I'm sure many of you have heard of Wide Pixel Games, a great team of people that were involved in games such as Knight 'n' Grail, and the upcoming sequel Pains 'n' Aches! But as of this moment we've just learnt of another game Mikael Tillander from Wide Pixel Games is working on, Geo Six, which from the look of it is a nod to Robocop but with a fantastic ability to trade bodies from one half damaged robot to other powerful robots each with different skills! 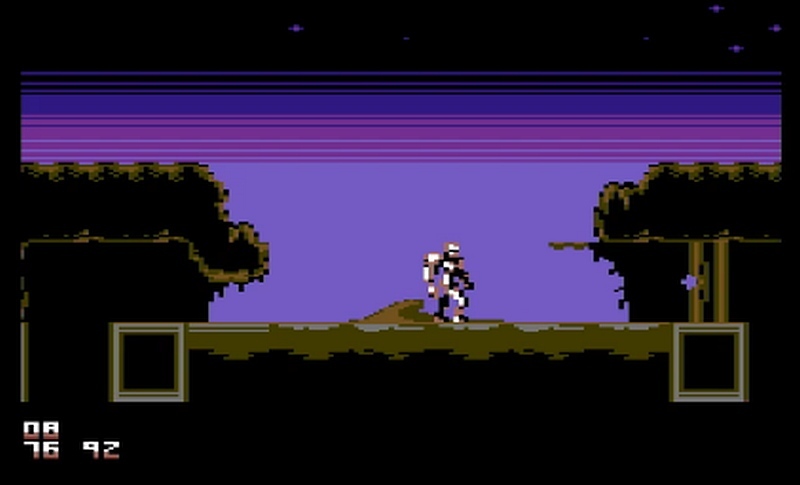 Although not much is known about the game, we can clearly see in the video above, this latest C64 title doesn't just feature a rather unique soundtrack, something out of an early 80's sci-fi trip, but the gameplay looks bloody awesome being able to trade bodies and use different abilities such as being able to drill or blast away enemies. Certainly a game worth keeping an eye on as when you have the power of a robot at your disposal, there's nothing that will stand in your way!